The Simpsons Ride Sneak Peak Bonus CD-ROM is a promotion CD for The Simpsons Ride by Expansive Media for the Toxic Magazine. 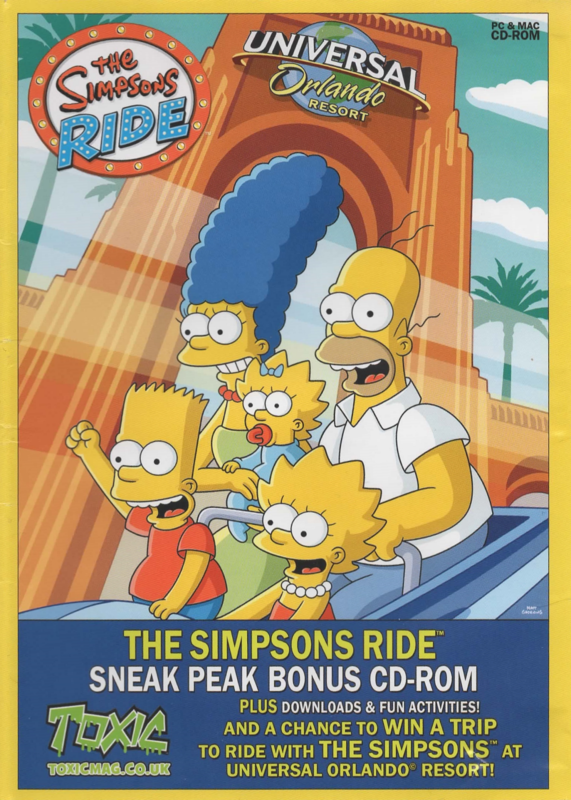 The CD contains clips from The Simpsons Ride, fact about the ride, a Simpsons quiz, links and wallpapers. A contest was available with the CD for a limted times that gave a winner a a holiday to Universal Orlando Resort. Modified on January 12, 2015, at 17:49.